Revenge of the Fans published a claim yesterday that the Man of Steel 2 film was being delayed due to Henry Cavill wanting final say over the script, director and wanted to be a producer for the film. This was done so he could leverage the best deal he could in order to return to the DC Universe. Yet, Cavill’s camp has put out a reply through Collider* about this claim. 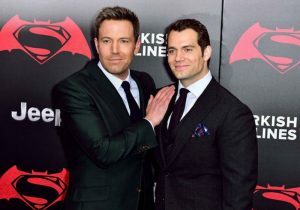 Collider reports Cavill’s camp said the report was “inaccurate”, and that there was “no truth to this”. Now some outlets point to the dismissal by Cavill’s camp as proof this isn’t true, but that’s not how things work. People can lie, and there’s probably some truth to the rumor. What the truth is, I don’t know, but a denial is not proof of anything. People like charlie Ridgely shouldn’t be so quick in believing anything he’s told. Hack writers are hack. We’re obviously mindful of the size of that business but over the years we’ve tried our hand at self-publishing … and we’ve found that we haven’t been particularly good at the self-publishing side. This according to the Hollywood Reporter. For fans upset with EA Games, Iger goes on to cite their “good relationships” with some they licenses to, “notably EA”. Quick Hits – Gotham aired a sizzle-reel at the TCA showing their version of Batman, who will be played by both by David Mazouz and a stunt double, as Mazouz is not over six feet tall. Nick Jonas will be joining his fellow co-stars from the first Jumanji film in the sequel, Welcome to the Jungle, according to Deadline. Erik Davis of Fandango reports that a sequel to Mad Max is in the works. Fox has announced at the TCA that the Simpsons have in fact been given a 31st and 32nd season, which was rumored to be happening a few weeks back. The Playlist is reporting that the size of the budget for a potential 2nd World War Z film is the reason why Paramount has finally cancelled the project.